When compared with lotto’s such as the National Lottery, the Illinois Lotto could be regarded as something of an old timer as it has been in existence since 1974. In the US, there are 44 lottery jurisdictions who have been granted authority to participate in the Powerball and Mega Millions lotteries, Illinois being one of them. The Illinois Lottery is well run and purchasing tickets for the weekly draws has become something of a tradition amongst the people of Illinois, but that is of little wonder when you take into consideration that the jackpot starts at $12 million. There are a total of fifty-two numbers available and six numbers have to be picked, but as each ticket consists of two entries, players have to choose two lots of six numbers. The Illinois Lotto draw is extremely straight forward as there is no bonus ball or anything like that to worry about, only the two entries of six numbers. Some players will argue that they would prefer some kind of bonus ball such as the Cash4life draw, as there is always the hope that even a small win can be salvaged from an otherwise set of losing numbers, but the Illinois Lotto is very much a case of what you see is what you get, two goes at choosing six correct numbers. The cost of an Illinois Lotto ticket is $2 but don’t forget that, each ticket counts for two entries. The odds of winning the Illinois Lotto are about as straightforward as it is possible to get because of the absence of any kind of bonus ball, three numbers and upwards and you will win a prize. If you carry out a Google search you will be greeted by a multitude of websites which list the Illinois Lotto results quite literally a few minutes after the draw has taken place. 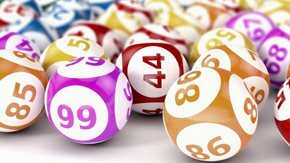 The official Illinois Lotto website is another great resource for all things lotto related and as well as having details about every draw that is taking place, any rollover news etc is also listed. Just like the UK’s, ‘It could be you’, just those few words are enough to generate a great deal of excitement about what actually would be possible if you are the lucky person to win the Illinois Lotto.